Give us your vision, and we can design your greenhouse. We specialize in Structural Insulated Panels, for your walls and roofs. Offering Blackout Systems isn’t enough. We have the experience to make it the right Blackout System for you. We can design your warehouse based on your requirements. Plastic or poly roof, we have many different Greenhouse Coverings. Westland Greenhouse Solutions can meet all your shading requirements. Call Westland Greenhouse Solutions for all your Greenhouse Design Requirements. Westland Greenhouse Solutions Inc. can design your greenhouse based on your requirements. 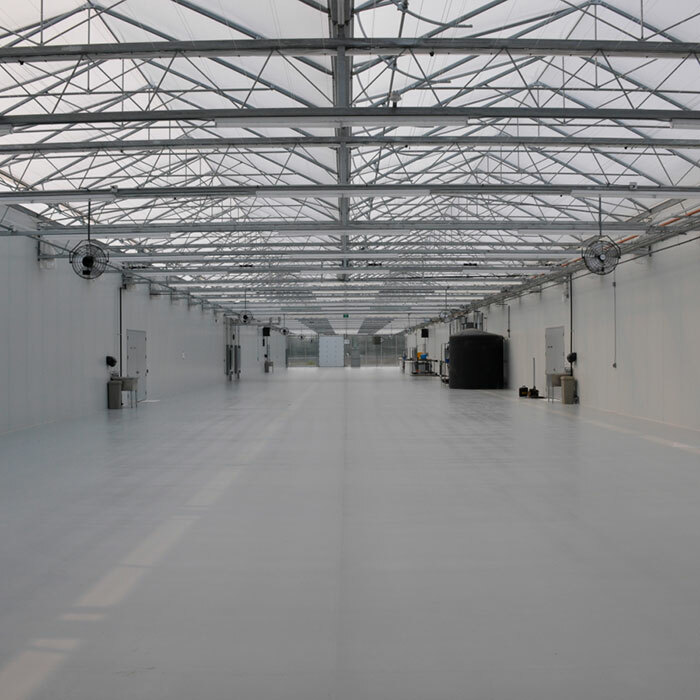 Whether you are looking at an expansion, a new build, or a retrofit of existing structures and systems, Westland Greenhouse Solutions Inc. can help you with some strategies, structures and systems to get your project done quickly and effectively. We provide options for you to grow your product, all designed around your specific needs. How you grow your crop is your competitive advantage, and based on over 20 years of experience of greenhouse building and supply, we can help your project meet those needs quickly and effectively.